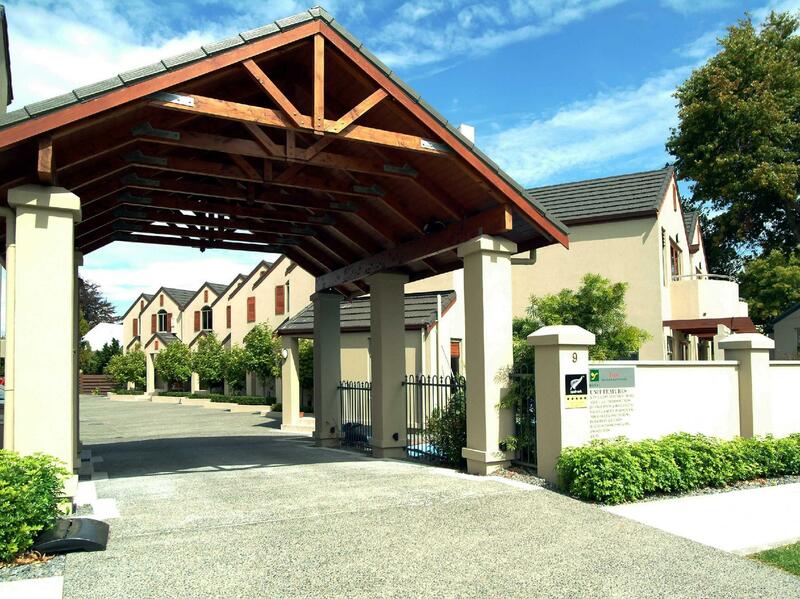 يقع فندق Voyager Apartments Taupo، المصمم ليناسب كل الضيوف سواء كانوا من رجال الأعمال أو السياح، في مكان ممتاز في أحد أكثر المناطق تفضيلاً في مركز تاوبو. يجذب هذا الفندق ذو 4.5 نجوم، والذي يبعد 1 km فقط عن وسط المدينة و 5 km عن المطار، الكثير من الزوار سنوياً. يضفي محيط الفندق اللطيف وقربه من توبو رود اند تاكل, ستارلايت سنما, جريت ليك سنتر سحراً خاصاً على هذا الفندق. ببساطة كل الخدمات وأساليب الضيافة التي تشتهر بها Quest Serviced Apartments تجعلك تشعر وكأنك في بيتك. لضمان راحة ضيوفه، يقدم الفندق الخدمات التالية: واي فاي مجاني في جميع الغرف, مرافق مخصصة لذوي الاحتياجات الخاصة, تسجيل وصول/خروج سريع, صف السيارات, رعاية أطفال . تنعكس أجواء Voyager Apartments Taupo في غرف الضيوف.تلفزيون بشاشة مسطحة, اتصال لاسلكي بالإنترنت, اتصال لاسلكي بشبكة الإنترنت (مجاني), حوض الاسترخاء, غرف لغير المدخنين هي بعض الميزات الموجود في العديد من الغرف. يمكنك طلب اللائحة الكاملة للخدمات في الفندق ومن بينها حوض استحمام ساخن, حمام سباحة خارجي, سبا, مسبح (للأطفال). إن Voyager Apartments Taupo هو خيار ذكي بالنسبة للمسافرين إلى تابو، بما يوفره من إقامة هادئة ومرحة. My family of 6 enjoys this place very much. This is the best apartment we have stayed so far in New Zealand. Facilities are so good and we even barbequeued there. Apartment is very clean and tidy. Good service too! We had an awesome stay at Voyager's Apartment, would recommend it to friends. Very nice complex. Not suitable for young chin as there are lots of stairs that cannot be blocked off. Well located. Spacious rooms. Big toilet with Jacuzzi. Hotel staff lovely and provided great service, the location was perfect, however, the part of the hotel that we were allocated a room at (which we were told comprised the standard rooms) actually formed part of an adjacent motel. Based on the fact that Quest advertise the accommodation as a 'hotel' and the pictures provided, we were not expecting to be staying at a motel. 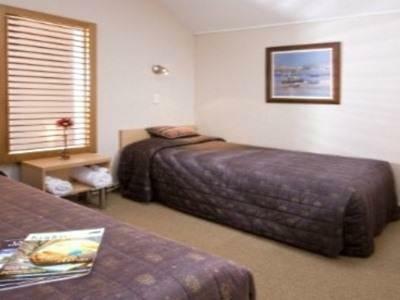 However, considering the price and the fact that it provided 3 bedrooms, it was ok.
On arrival we found the room was not in the Quest Taupo but in an older hotel next door run by the same people. This was not clear upon booking. It was like a trip back to the sixties, with the original beds! Can't complain about the price though. Room that we stayed also had bed warmer, which proved very practical, as the weather was rather chilly due to the relentless rain. 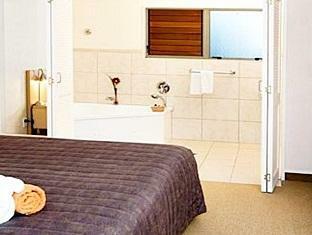 good location with reasonable sized rooms and facilities including washing machines and dryers. facilities were all in good condition and clean. staff were helpful and friendly. within walking distance of the centre of town which had a good range of restaurants and other shops. a number of local sites worthy of visiting. Rooms are basic, clean, well-maintained but probably need a little sprucing up soon. Nevertheless, it is a very comfortable stay. The owner is friendly and ready to answer all questions and ready to suggest activities and places for dinner. Location is decent. Probably good enough for a one-night stop. this hotel was good value and close to the lake. nice walk to town and clean ,comfortable and spacious. This is a very decent hotel, we had a larger room and it was very nice . The bed was very comfortable and the owner of the motel was very helpful. It was close to town centre and i would stay there again if the need ever comes up again.try the Heli flights they are great. Location was easy walking distance, great kitchen faciilities and helpfull staff. The 1 bedroom apartment has plenty of space and is very clean. There are two types of accommodation at this location the 1 bedroom apartment was in the older section the new section was new looking townhouse type accommodation that looked alot nicer. Was disappointed with the quality of the furnishings. (Sofa old and uncomfortable) Price was reasonable but feel that there is better available. มาพักที่ quest เพียงคืนเดียวแต่ก็ประทับใจกับการให้บริการที่เป็นกันเอง อุปกรณ์อำนวยความสะดวกในห้องมีให้ครบครัน อีกทั้งความสะอาดโดยรวมถือว่าดี ถ้ามีโอกาสน่าจะอยู่ให้นานกว่านี้ ถ้ามีราคาแบบ long stay พิเศษก็น่าจะดี.